Welcome Home! This Stunning Colonial Perfectly Situated at End of Tree-Lined Cul-de-Sac Features 4 Bedrooms/3.1 Gorgeous Baths, a Perfectly Redesigned Gourmet Kitchen Open to Gorgeous Family Room, Leading Into a Charming Den/Library with Custom Shelving- All Overlooking the Huge Professionally Landscaped Back Yard & Patio! Newly Finished Master Suite w/ Stunning Spa-Like Master Bath and Huge Organized Closets. Huge Beautiful Bonus Room on Main Floor has Full Bath and Doubles as 1st Floor Guest Suite/Master Bedroom or Rec Room w/ High Ceilings, Recessed Lighting and More Storage! The Playroom/Nook is the Perfect Spot for Toys and Fun With Easy Access on the Main Floor! 1st Floor Mud/Laundry Room w/ Tons of Cabinet Space and 2 Organized Walk-In Storage Rooms. Absolutely Fabulous Family Home in Choice School Zone...Over 3,200 Square Feet of Beautiful & Livable Space! Impeccably Maintained and Updated- Shows Like a Model! Don't Miss This One! 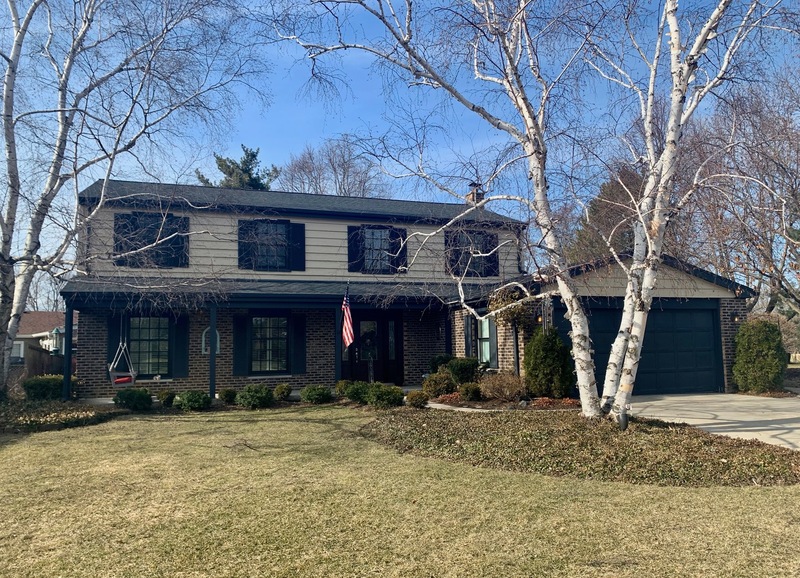 This Libertyville, Illinois Detached Single is located at 404 Thornapple Lane in and has 4 bedrooms, 3 full & 1 half bathrooms with approx 3,273 square feet and a None Slab Basement. It has been listed For Sale on Blue Fence for 70 days and is currently Cancelled on the Multiple Listing Service (MLS#: 10270224) with a list price of $ 549,900 or a price per sqft of $ 168. 404 Thornapple Lane is located within the Libertyville City Limits, 60048 zip code and in Lake County Illinois. The Detached Single property was built in 1975 with a lot size of .25-.49 Acre and has Garage with 2 Spaces. School age children living at 404 Thornapple Lane would go to Elementary School at Hawthorn Elementary School (nor (District 73), Middle School at (District 73) and High School at Libertyville High School (District 128). Do you have questions about 404 Thornapple Lane in Libertyville? Learn more about this property and other Libertyville real estate for sale by contacting the best high selling real estate agents REALTORS® with awarding winning Blue Fence Real Estate. Simply request more information from a top rated Blue Fence REALTOR® or browse all of the most updated listings of Libertyville Homes For Sale. I was searching on Blue Fence and found this listing. Please send me more information about 404 Thornapple Lane, Libertyville, Illinois 60048. Thank you.